If you want to see the best Buddha quotes in one place, then you’ll LOVE this post. I’ve personally gone through hundreds of Buddha quotes to pick out his top 50. And you can filter through the list below to find the topics that most interest you. But first, a brief introduction about the great man named Gautama Buddha. 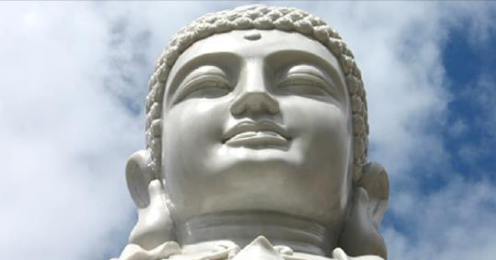 Buddha was a spiritual teacher who lived in India sometime between the sixth and fourth centuries BC. His philosophy ended up creating the religion Buddhism, and tends to counter much of what we’re taught in the west. After many years spent in deep meditation, he realized that attachment and desiring lead to unhappiness. He believed that enlightenment, or “Nirvana”, was achieved when one’s mind is compassionate, free of attachment and focused on the present moment. He spent his entire life teaching others how to free themselves from suffering and live a life of compassion, fearlessness and joy.